Harvey. Maria. Irma. Sandy. Katrina. We live in a time of unprecedented hurricanes and catastrophic weather events, a time when it is increasingly clear that climate change is neither imagined nor distant—and that rising seas are transforming the coastline of the United States in irrevocable ways. 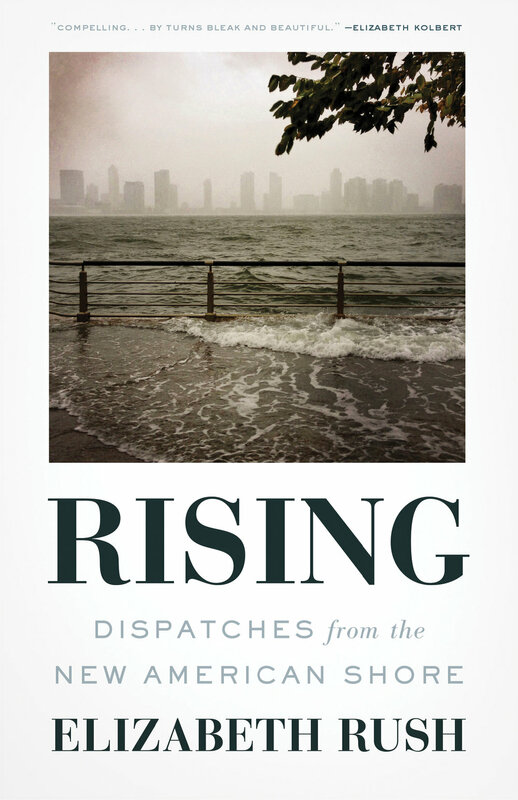 In this highly original work of lyrical reportage, Elizabeth Rush guides readers through some of the places where this change has been most dramatic, from the Gulf Coast to Miami, and from New York City to the Bay Area. For many of the plants, animals, and humans in these places, the options are stark: retreat or perish in place. Weaving firsthand accounts from those facing this choice—a Staten Islander who lost her father during Sandy, the remaining holdouts of a Native American community on a drowning Isle de Jean Charles, a neighborhood in Pensacola settled by escaped slaves hundreds of years ago—with profiles of wildlife biologists, activists, and other members of the communities both currently at risk and already displaced, Risingprivileges the voices of those usually kept at the margins. At once polyphonic and precise, Rising is a shimmering meditation on vulnerability and on vulnerable communities, both human and more than human, and on how to let go of the places we love. Elizabeth Rush will be joined in conversation by Doug Parsons, Director of America Adapts, the climate change podcast. Elizabeth Rush's journalism has appeared in the Washington Post, Harper's, Guernica, Granta, Orion, and the New Republic, among others. She is the recipient of fellowships and grants including the Howard Foundation Fellowship, awarded by Brown University; the Andrew Mellon Foundation Fellowship for Pedagogical Innovation in the Humanities; the Metcalf Institute Fellowship; and the Science in Society Journalism Award from the National Association of Science Writers. She received her MFA in nonfiction from Southern New Hampshire University and her BA from Reed College. She lives in Rhode Island, where she teaches creative nonfiction at Brown University. Let us know you're coming on Facebook.